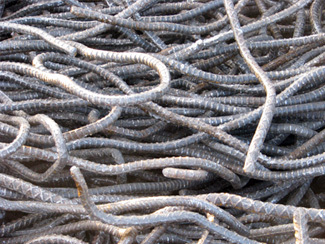 At our 9 Houston area recycling centers we extract thousands of tons of steel rebar from raw concrete. We also recycle steel from demolition or dismantling jobs. This reclaimed steel is then bundled and shipped to steel mills where it is re-used in manufacturing thousands of new steel products.